Unless they have a sadistic vice president of sales, most B2B firms don’t intentionally set unattainable sales quotas. Nevertheless, impossible sales targets are all too common. Salespeople lose their motivation to perform. French sociologist Emile Durkheim once said, “To pursue a goal which is by definition unattainable is to condemn oneself to a state of perpetual unhappiness.” Nothing will destroy morale faster than holding people to a standard they can never reach. If you can’t reach your goal, why even try? The good salespeople leave the company. Your best performers will be able to tell immediately if a quota is attainable or not. And if it’s not, they’ll vote with their feet. They know their worth, and in the current job market, they’ll easily be able to find a position with managers who are more reasonable. Salespeople scramble and ignore established sales processes. Those few salespeople who aren’t completely demoralized and decide to stick it out will realize that they have to go above and beyond if they are to have any chance at meeting their quotas. But the way they have been doing things hasn’t achieved the results that you are asking for, so they’ll look for ways to boost their results. That will probably mean taking shortcuts that circumvent your carefully designed sales processes, which could have potentially disastrous results over the long term. The sales team resorts to pushy (and possibly unethical) tactics. In some cases, their search for shortcuts that will enable them to reach their targets will lead employees to do things you really don’t want them to do. Case in point: the Wells Fargo bankers who set up fake accounts for customers in order to meet quotas. That eventually resulted in billions of dollars in fines and settlements for the company, as well as numerous executives losing their jobs. Salespeople throttle back so that future targets are more attainable. Every company has a least one or two employees who know how to work the system. They’ve been around the block enough times that they don’t freak out when sales quotas get lifted alarmingly high. Instead, they do just a little less, knowing that managers will use their new numbers to set future quotas. In the end, sales stay right about where they were all along. So what should sales leaders do? The solution isn’t to throw up your hands in despair and accept the status quo. And intentionally setting quotas low isn’t the answer either. Instead, we encourage companies to use prescriptive account planning in establishing their sales targets. Going through this process will show you how much business you can realistically expect sales team members to extract from their territories. Not only that, it will also give them a roadmap that shows exactly where they can find those extra dollars and how to go about closing the sales. Providing them with that information prevents your sales team from being overwhelmed and instead inspires them to reach the high targets you have set. If you’re not currently doing prescriptive account planning or don’t know how it works, we have a couple of resources that can help. 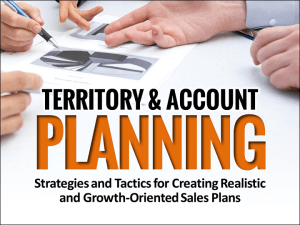 Leading Edge Account & Territory Planning offers an overview of how to do this kind of planning, and Predictive Sales Analytics explains how to use your analytics software to get the information you need for your prescriptive account plans. Both can set you on the path to setting realistic quotas that push your sales team to do their best — without sending them over the edge. Sales planning is often perceived as not much more than tactical busywork. In this on-demand training session, you'll learn how innovative sales operations are taking a radically different approach to identify untapped growth opportunities and develop prescriptive account and territory plans. Predictive sales analytics has proven to be a powerful tool for improving effectiveness and boosting results at-scale. In this on-demand webinar, we demystify the core concepts and applications in sales environments. In this Expert Interview, Rick Reynolds, the CEO of AskForensics, discusses their latest research and reveals a number of effective strategies for maintaining strong customer relationships and retaining your most valuable accounts. How do you encourage, enable, and manage organizational change when the deck is stacked against you? In this in-depth interview, Scott McAllister and Suraj Mohandas share the quantifiable benefits of effective change management and expose the essential steps that are required to get it right. With so many different variables involved, improving sales performance across the board and at-scale can seem like a daunting task. 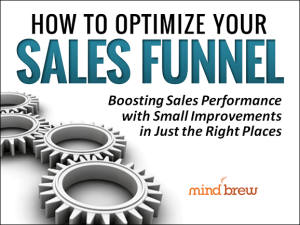 But with a different perspective on your sales funnel, you can generate huge improvements much more easily and with far less risk. 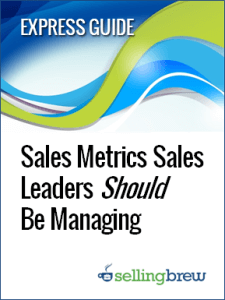 You need to track and manage sales metrics, but which metrics are the most important? In this guide based on research from Vantage Point Performance and the Sales Education Foundation, Jason Jordan reveals the ones that really matter.